Hope Family Wines is a must visit for any wine enthusiast who likes their wines to be both delicious and sustainably produced. Located in the Templeton Gap American Viticulture Area tucked just off the 46 West in Paso Robles the estate produces artisan wines from vineyards planted with syrah, mourvèdre and grenache varieties. Founded in 1978, Chuck Hope was drawn to the many possibilities presented by the microclimates of the Central Coast and the opportunity to provide a sustainable winemaking legacy. The tradition continues on with his son Austin Hope, who presides over the now five unique labels Liberty School, Austin Hope, Treana, Troublemaker, and Quest. 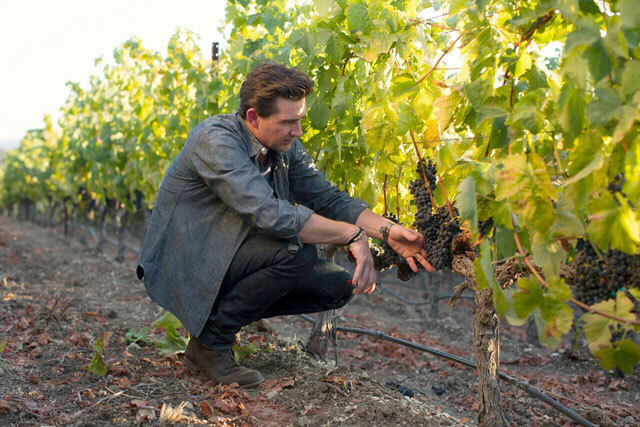 Austin is maintaining the family’s commitment to sustainable farming practices and long-standing tradition of making delicious, reliable, and accessible wines, all while infusing a vibrancy that resonates from the vine to the glass. The beautiful vineyard property is farmed using sustainable practices and is SIP Certified, which means Sustainability in Practice, the most stringent certification level, which goes beyond organic or biodynamic requirements. Sustainable farming and SIP Certification encompasses not only the environmental aspects of farming but social equity (human resources) and economic viability. Sustainable agriculture considers air and water quality, soil, energy, and water conservation, and other ways to protect non-renewable resources for future generations. No detail is too small for the Hope family, of note, a quail guzzler installed in the vineyard, provides a safe and protected space for these ground dwellers to drink water. One example of how the family protects the vineyards, natural inhabitants, to create a balanced equilibrium vital to achieving optimum vine health and consistent production. A visit to the tasting room showcases the small production wines from the Treana and Austin Hope brands, which represent their passion for artisan winemaking. Their recently remodeled tasting room, set amongst the vines, is the perfect fusion of rustic barn exterior and modern interior. The result is a destination where guests are invited to relax and enjoy the wines at their own pace while relishing the natural space. Guests can picnic amongst the vineyards or choose from different types of indoor seating set up for tasting, stools at the bar, large tables with high chairs for big groups or comfortable couches. No matter your wine tasting style, Hope Family Wines is a sustainably minded destination whose consistent wine quality will not disappoint. The tasting room is open daily at 1585 Live Oak Road, Paso Robles from 10 am to 5 pm, tasting fee $15 per person.